R.S. 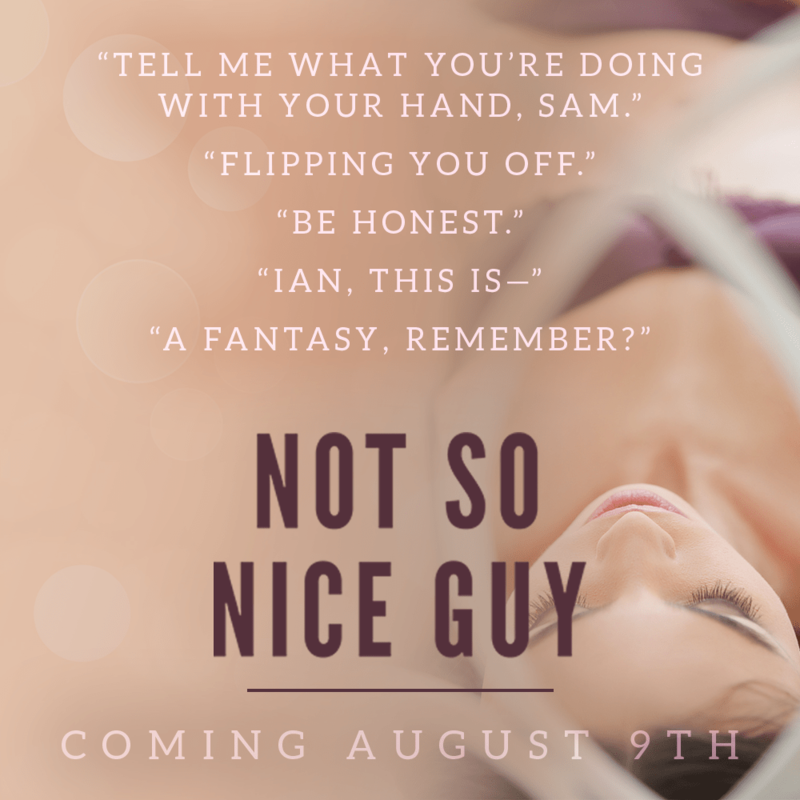 Grey’s newest romantic comedy, NOT SO NICE GUY, is available TODAY! Get your hands on it now! As an English teacher, words are my profession and my passion, so it’s easy to identify writers whose stories flow effortlessly and whose word choice fit the characters and their situations, and it’s beyond clear that R.S. 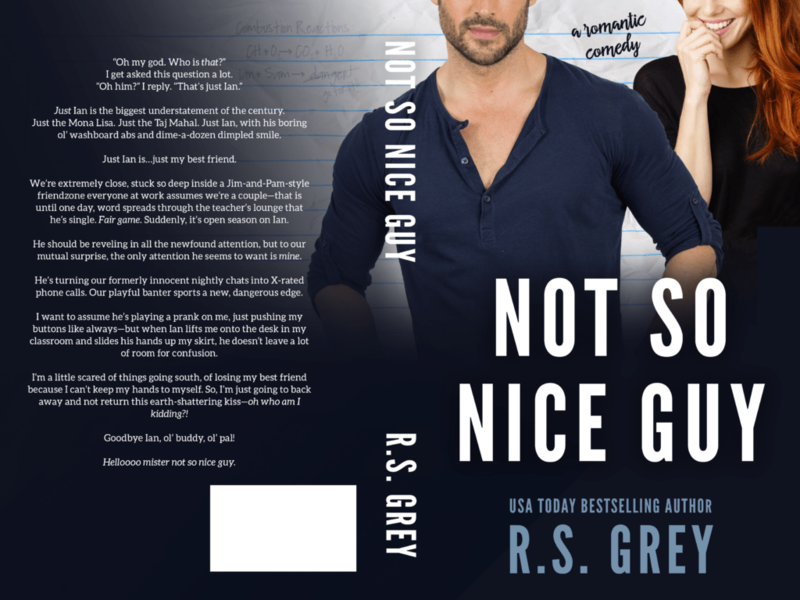 Grey knows her way around words and her romantic comedies are always on point! It uses humorous diction – I’m a total goner for witty banter and snarky interactions. There’s just something about a writer being able to create one-liners and lengthy exchanges that are laugh out loud funny that makes me giddy; I can’t tell you how many sentences I highlighted in Sam and Ian’s story due to the entertaining way they explore a topic. Readers get both main characters’ point of view which allows them to understand Sam and Ian’s perspective and what they’re internally thinking even if their outward actions imply something else. If Sam said half the things she says in her heat out loud, her colleagues would be completely caught off-guard, but they would also not stop laughing because she really is hilarious. I love friends-to-lovers’ storylines – there’s just something about characters having an established relationship and then pursuing something more – even if they need a push or two along the way, and the fact that it takes a few bouts of jealousy to get Sam and Ian to see what’s been in front of them for the past three years proves that the attraction had always been there even if neither of them realized it until they were forced to admit their true feelings for one another. 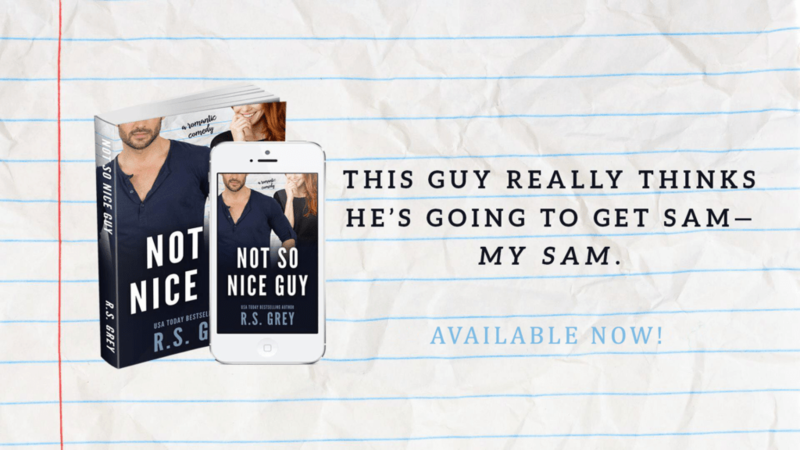 I never stopped smiling as I read Sam and Ian’s story; there are so many humorous interactions that showcase Grey’s comedic prowess and provide readers with a lot of feel good moments. 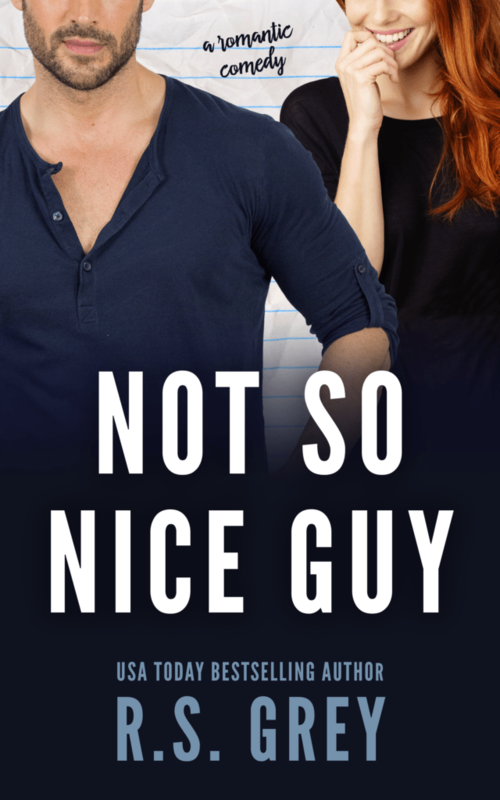 NOT SO NICE GUY is a great summer read, and it’s one readers will adore because it has a great mix of fun, steam, and hilarity.